My name is Nikki Lee. "In hindsight, we should have made more fuss but that's not how we were brought up." Our immigration story is not the 'traditional' one but one of Asian professionals who moved here for work and stayed on. My husband and I arrived in 1995. We were both 28, born in Malaysia and had been working in Singapore for 6 years. My husband was working for Apple in Singapore and transferred here, originally for 6 months, which became 3 years at which point we decided to apply for permanent residence because we discovered we loved California. We didn't have to face the well-documented struggles of immigrant adjustment and settling in. We could already speak English well, we were college graduates, my husband already had a job. The Bay Area was a large melting pot of immigrants from many countries and we quickly managed to find a community of Malaysians and Singaporeans. Despite our advantages, moving to a whole new country was still a little worrying. We were giving up a great life in Singapore for the unknown. However, we figured if we didn't take the opportunity to live in a different country, we would regret it. 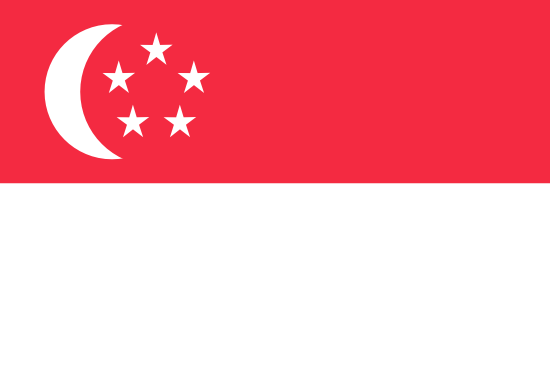 I got a job with Ernst & Young - during my interview, the interviewer said 'I didn't know Singapore does business in English'. Within 3 months of my starting work, E&Y placed ads to recruit in Singapore and ended up bringing 9 new employees in. Working for a big CPA firm here was much the same as in Asia - except I was surprised to learn that first-world modern American women almost all changed their names to their husbands' upon marriage, even the high-powered women partners. In Malaysia and Singapore, we keep our last names. Things haven't been all smooth sailing - we've had to deal with the occasional racist incident. When I gave birth to my daughter, the hospital put us in a shared room after her birth, telling us that no singles were available. Only to wheel the new non-asian mother who arrived after me into a single shortly after she arrived. I got up, IV drip on wheels alongside, and walked the hallways, to realize that there were some empty single rooms. I spoke to a nurse and within an hour, was transferred. In hindsight, we should have made more fuss but that's not how we were brought up. And if we, as college graduates with jobs at large corporations could be treated poorly, how much harder it must be for less advantaged immigrants. Thankfully those instances have been few and far between - and I've become more American in speaking up if I feel I need to. It's been 23 years now. We have lived longer in America than any other country. We go back to Malaysia every year, sometimes Singapore as well. My sister lives in Oregon - she came to US for college and stayed on. My brother remains in Malaysia but he, his family and my parents visit us here every year or so. Our daughter is an American but with some long-distance roots in Malaysia. And she has many friends like her - who return to and have long-distance roots in Korea, Taiwan, Vietnam. At some point, when my parents and in-laws are older and need care, we will move back to Malaysia for a while. They don't want to move here - healthcare is expensive and they have no friends. In the end though, we will move back here to California which is now our home.